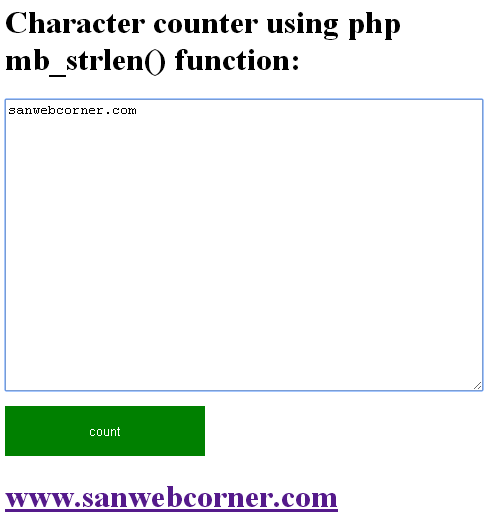 This is one of the simple method to calculate how many Characters in the particular string textarea. It will calculate the all the characters within the textarea including the space. 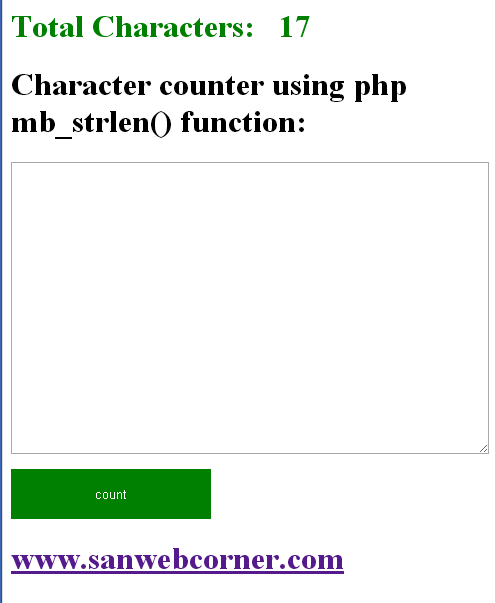 We will done this concept with the help of php mb_strlen() function. I used here is one of the simple form, in this form contain one textarea field and one submit button after the form post i stored the full string of the textarea into the $count variable then i used the mb_strlen() function to that. Then i displayed the count in h1 tag. Check out the below demo page how it works. I hope this is helpful.